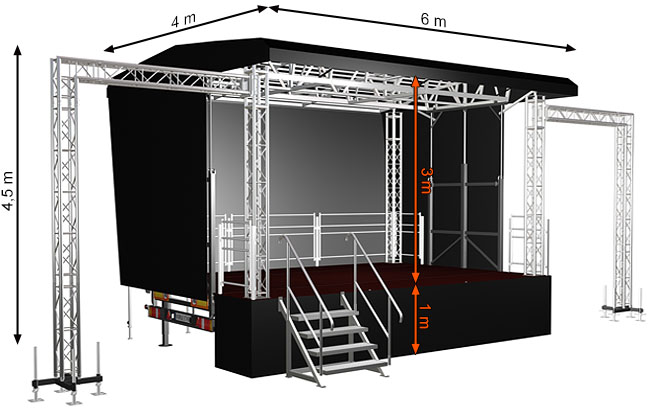 Standard Mobile Stage S24 it’s the latest size in ALSPAW offer of mobile stages. 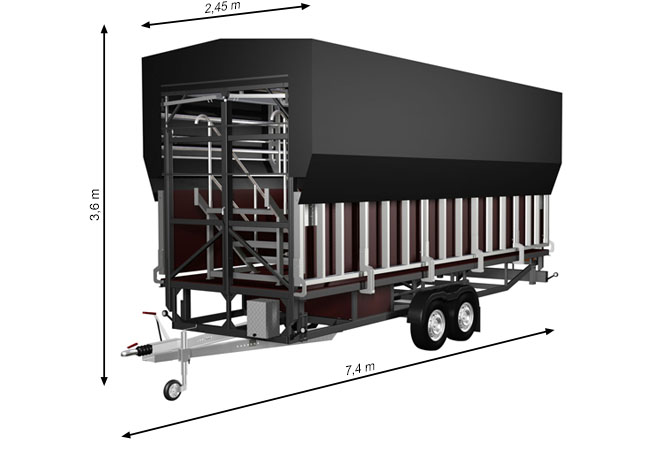 Standard Mobile Stage S24 it’s the latest size in ALSPAW offer of mobile stages. S24 Mobile Stage was designed according to EUROCODE 0, 1, 3, 9, as well as all mobile stages, produce by ALSPAW. Mobile stage can be used for speeches, political campaigns, literary books promotion and small events.